This well established professional toastmasters organisation would be pleased to receive enquiries for membership from experienced toastmasters and indeed those just setting out on their career. The breadth of experience within our membership is indeed phenomenal and often shared at our regular meetings throughout the year. We also have a Grand Social Weekend each year when we invite our partners to share with us an exquisite dinner and dance. The President in post for the year determines the locality where this shall be and prominent individuals from the area often grace these functions. Applicants or those considering application would be very welcome to join us. Upon receipt of your application, the institute will invite you to attend an interview whereupon we would look at you in your uniform. 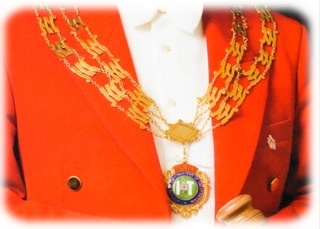 The image of a toastmaster is of paramount importance and our members are proud of the way in which they present themselves. You will also be asked to undergo an oral and written assessment designed to estimate the extent of your experience. For those who, before applying, consider that they would like further or even initial professional training; we can point you in the right direction from within our membership. After such training, your potential entry application into our ranks would receive immediate and prompt attention. For more information on membership of the Institute of Toastmasters of Great Britain (ITGB) or if you have any questions which have not been answered, then please contact the institute secretary, whose contact details can be found on this site. He would be delighted to speak with you as indeed would any other member listed on our pages.